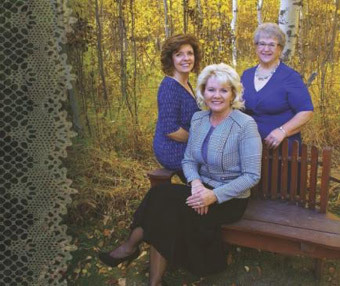 JOYFUL MELODY TRIO is a pastor’s wife and two farmer’s daughters who have joined together in word and song, since October of 2002. They sing music with a Southern Gospel flavour. Some familiar titles such as: ‘He Touched Me’, ‘Champion Of Love’, ‘Oh, What A Savior’ and ‘God On The Mountain’. They meet together in Barrhead or Morinville to practice songs that have ministered to their lives and feel confident these songs will also minister to those who come out to listen.